Twinety-twine is out! Listen to the full album at http://www.bobthescreamer.com/music/twinety-twine/ Bob the Screamer is a composer and musician living in Sweden. His music is instrumental, complex, dynamic and detailed. 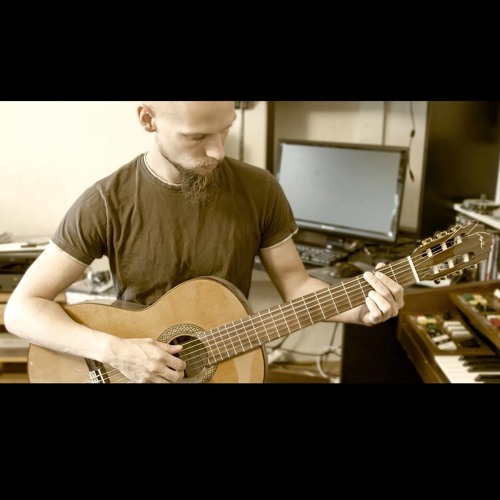 His composition style is similar to that of classical music: themes and ideas slowly building up to a musical climax, using an instrumentation of electric and accoustic guitars, organs, keyboards and electronic sounds. The songs are typically long with a lot of variation yet with consistent musical themes. The musical style is influenced by 70's British progressive rock music, folk music, progressive metal and early video game music. Bob the Screamer's second album "Twinety-twine" is an almost one hour long journey through 7 new compositions much in the same style of the previous album "Adventuring". Twinety-twine has a more developed sound and a broader variation than the previous album. Both albums are available for free and can be downloaded from www.bobthescreamer.com.